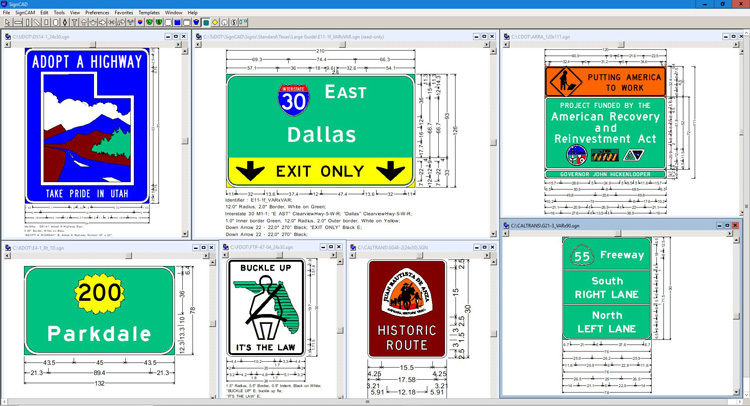 SignCAD traffic sign design software is used by 43 state departments of transportation in the U.S.
Exton, Pa. — Bentley Systems, Incorporated acquired a provider of software for traffic sign design and manufacturing, SignCAD Systems, based in Minneapolis. SignCAD provides sign design solutions to 43 state departments of transportation (DOTs) in the U.S., as well as many cities, counties, engineering firms, and manufacturers. SignCAD’s sign design capabilities complement Bentley’s OpenRoads civil design software offerings for roadway projects.